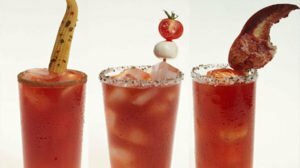 Invented in Calgary in 1969, the Caesar is Canada’s most popular cocktail, with 350 million Caesars consumed annually. It’s our favourite brunch cocktail, and a reliable hangover cure. This clam tomato based cocktail is also a preferred aperitif, a standby nightcap and an almost-guilt-free meal replacement. A tasty alternative to the Bloody Mary cocktail. 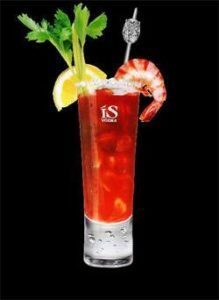 The traditional Caesar typically contains vodka, Clamato (a proprietary blend of tomato juice and clam broth), Tabasco and Worcestershire sauce, and is served with ice in a large, celery salt-rimmed glass, typically garnished with a stalk of celery and wedge of lime. The American’s have a different take on the origin of the Caesar. Apparently it all happened one night in a Las Vegas bar. Much-loved crooner Tony Bennett was performing there, having had one too many, and in need of something to perk himself up. A creative bartender at Caesar’s Palace hotel made this for him – hence the name. Like Tony Bennett, it’s a favorite of all who have tried it. To properly make this beverage, you want to follow the right steps. Make sure you start by adding the tabasco and Worcestershire first. If you happen to make the drink a little too spicy or muddy, you can always start again. When you are happy with the amount of each condiment, add your vodka and build the rest of your drink on ice. 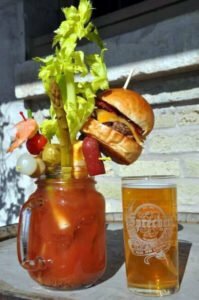 Every restaurant & bar these days seems to have their own take on the Caesar, hoping to distinguish themselves from the bar down the street, and keep you coming back for their own special version. Fresh grated Horseradish, creamy Horseradish from a jar, Franks Red Hot instead of Tabasco, Cayenne pepper. On the rim, switch the celery salt rim for a fresh cracked salt & pepper rim or even Tim Horton coffee grounds. Vodka can be infused with Pepper, Bacon, Maple Syrup or Citrus. Or, switch the vodka for Gin, Tequila, or various types of Whiskey, including a combo in North Vancouver we saw on a brunch menu with Jack Daniels & bbq sauce. At Fine Art Bartending School, we teach our students the classic recipe, & the classic garnish, celery stick and a lime wedge. But we are sure to mention, wherever you go & get a bartending job, that restaurant or bar will have its own house version of the Caesar you will have to learn. 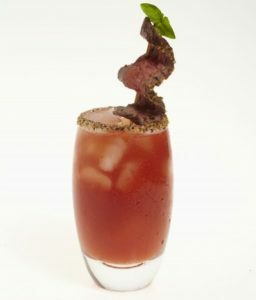 Love it or hate it, the Caesar Is definitely Canada’s national cocktail. This tasty cocktail will continue to be pulled apart and put back together by talented bartenders for at least another 40 years.